The Holuhraun eruption of Bárðarbunga volcano. Wikimedia Commons, photograph by Peter Hartree. After writing the Woolly Mammoth Guide to Icelandic Volcanism I vowed to not write about Iceland for a while. That comment bit me in the posterior rather quickly. Since the cessation of the Holuhraun eruption the central volcano Bárðarbunga has been highly seismically active. Many people have fervently believed that this has been due to inflation and the volcano being close to an eruption, but up until now that was not simply true. But let us bone things out together. As a large Icelandic volcano near the hotspot stops its eruption it will still be receiving fresh magma at an astonishing rate. For Bárðarbunga the amount is between 0.04 and 0.8 cubic kilometres per year on average. Let us now put that magmatic influx into perspective, of all known so called supervolcanoes and what is supposed to become supervolcanoes have a far smaller magmatic influx. The current leader of that pack is the nascent supervolcano of Cerro Uturunku on the Altiplano-Puna Volcanic Complex (that houses other supervolcanoes). The normal accumulation rate for all of Altiplano-Puna Volcanic Centre is estimated at 0.001 cubic kilometres per year, but since 1996 the area containing Cerro Uturunku has had a magmatic influx of 0.01 cubic kilometres per year. So, it is perhaps not surprising that Iceland is erupted on such a scale as it does and with the frequency it does. After that detour we can get back to the nitty gritty of Bárðarbunga. During Holuhraun 1.2 cubic kilometres of lava was erupted which equates in cooled and degassed form to 0.6 cubic kilometres of magma. Based on that figure alone the volcano should be ready to erupt after 18 months or less. There is just one problem with that equation and that is that most magma is not ending up in Bárðarbunga as such; most of it ends up as harmless intrusions along the fissure swarm, or ends up staying in the large accumulation zone under the Veidivötn Fissure Swarm that Bárðarbunga is a part of. Normally about one tenth or less of all emplaced magma erupts. So, instead of one eruption per 1.5 years we should be seeing one every 15 years or even more seldom. Let us get back to all that juicy seismicity that has had a lot of people going “oh” and “ah” about. In the end they were of tectonic nature and not magmatic. The cause for them was the lowered pressure in the upper magma reservoir allowing the caldera floor to drop downwards. As such that does not mean that an eruption will occur, but it helps with raising the pressure inside the magma reservoir in a more rapid fashion. It also weakens the ring-fault that run all around the caldera so that it becomes easier for magma tendrils to move upwards. Up until a week ago this behavior of tectonic earthquakes dominated the activity at Bárðarbunga. Siguldastöd seismometer, image courtesy of Icelandic Met Office. In the months prior to the last eruptions there was a spattering of deep earthquakes at depths larger than 20 kilometers indicating that fresh magma was moving upwards into the Veiðivötn volcanic system, it was those earthquakes among other things that I used to predict the Holuhraun eruption. After the eruption those had ceased so we knew that there was no high influx of magma, but a few weeks ago those started to crop up again in the same manner as prior to Holuhraun. These earthquakes are widely distributed and are per se not a good way to predict exactly what volcano will erupt, but they are an indicator of a possibility for a future eruption in that particular region of Iceland. Prior to the eruption they clustered around the Kistufell central volcano and Trölladyngja on the Veiðivötn fissure swarm. Out of those deep earthquakes an earthquake swarm formed clustered around Kistufell where an intrusion occurred that ended up in what was discovered to be a magma chamber. For various reasons that intrusion could not penetrate the roof of the magma chamber and instead diverted via a dyke into Bárðarbunga proper and the hubbub commenced. It was at the time the inter-volcanic dyke formed I became convinced that we would have a Bárðarbunga eruption, but most in here remember that fruitful volcanic prediction. Right now we have those deep earthquakes under Kistufell and Trölladyngja and I am rather convinced that this once again is a sign of rapidly moving magma pushing upwards like a soft pillow hitting the underside of a table. 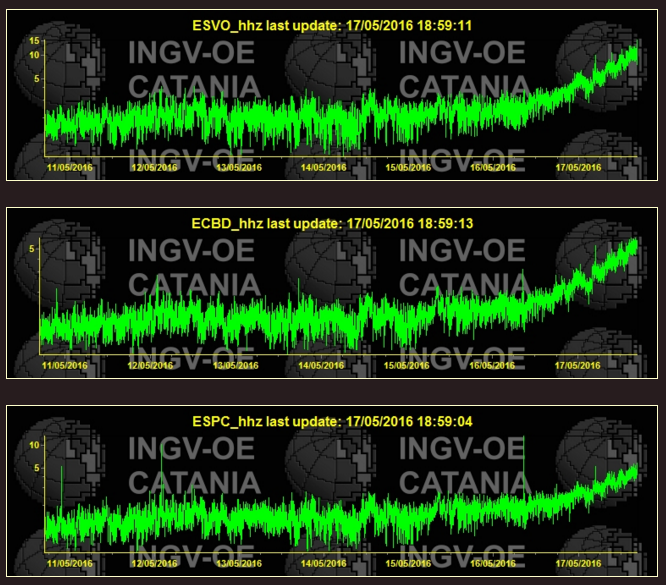 As of now no intrusion earthquake swarm has started to move upwards at Kistufell, nor has one started at Bárðarbunga. If we judge solely from that we are still a bit of ways from another eruption. Let us now jump back to the tectonic seismicity that has plagued Bárðarbunga since cessation of the Holuhraun eruption. About a week ago we started to see a few earthquakes of a type that could mean that magma was moving. And early Wednesday morning a small but intense earthquake swarm started with a M2.9 earthquake that rapidly turned into a series of earthquakes of a type indicating moving magma. The epicentre of that swarm was on the NE corner of the caldera and it is my opinion that a tendril of magma moved upwards through cracks along the NE part of the ring-fault and that if it happens a few more times it could lead to an eruption. What would an eruption be like? Earthquakes at Vatnajökull. Image courtesy of Icelandic Met Office. There are still not enough signs around to believe that yet another large eruption would take place at Bárðarbunga at this time. Even though the prior dyke that lead to Holuhraun is mainly filled with warm magma it is not a likely place for an eruption since the area has already rifted apart. It is therefore far more likely that a large eruption would occur down to the south. But, remember that a large magmatic intrusion has not yet occurred into Bárðarbunga, so therefore another large eruption is unlikely right now. Instead it is far more likely that a small caldera eruption would occur as magma leaks upwards along the NE corner of the ring-fault. The last proven eruption from the caldera occurred in 1996 during the Gjálp eruption (seen by IMO-staff). That eruption was a minor VEI-1 eruption and caused no problems at all. And if we look at the historical record of eruptions from the Bárðarbunga caldera we see that a majority of the eruptions have been VEI-1 or VEI2 eruptions with a small sprinkle of VEI-3 eruptions. No larger eruptions are known to have taken place at the caldera in the Holocene. So in short, do not be overly surprised if there is a small eruption at the caldera in the next few days to months. And my bet is that it would occur in the NE part of the caldera. And I do not expect anything big to happen. Unless of course we get yet another large intrusion, but then it is far more likely that the side SW wall of the upper magma reservoir breaches and something squirts out down at the southern side of Veidivötn. Thank You, I will enjoy this a little later tonight. Do you think the deep quakes we’ve seen in the Askja region are somewhat related to the same deep pulse, or would that be completely separate? I only ask this since I’ve noticed a similar amount of (if not higher volume) of deep quakes in the Askja region. Also, you mention hotspot volcanic influx being between 0.04 and 0.8 cubic km per year (on average). That’s a pretty wide span, but would that possibly include Askja or even the other less active volcanoes in the region? I would assume that the deep earthquakes at Askja is related because the same “depthness” started there at the same time as at Bardarbunga on both occations. No, that is for the whole of the Veidivötn Fissure Swarm, not the Mantleplume are, and the span is over the magmatic cycle. The low number in the low period and the high during the peak of the cycle. And just got a deep quake southeast of Bardarbunga. That is the knee where the dyke turned. It had a few swarms prior to the 2014 eruption and also quite a few deep ones. Wasn’t there some speculation that the “knee” was actually starting to form a volcano of its own? Prior to the eruption there was an intrusion that may have entered a nascent magma reservoir, so it could be a volcano of its own on the Grimsvötn Fissure Swarm. Technically the “knee” was just to the northwest of the “perhaps” proto-volcano so it may be that the pressure field deflected the dyke and pushed it to the north. But, we are talking about guesstimates and no paper has been published about it. And now I can say that it is a cryptodome. I would bet there is another one right at the edge of the glacier where dike emerged. We see a great deal of deep activity here as well and there were cauldrons. There are a lot of features hidden under Vatnajökull that will come to light as it melts away. We know very little about the real topography down there. I am most intrigued by the two Geirvörtur volcanoes hidden under the Vatnajökull ice-bra. I think that one day we will have to start a museum for all the crashed keyboards caused in here. Funny how we can actually mention certain key phrases or words without fear of being bombarded by a certain someone who had borderline obsessive habits on here. Also, correct me if I’m wrong, but we didn’t see any of those deep quakes in the Askja region prior to the initial Bard eruption, right? I wasn’t following as much back then, so hard to tell. Another thing I just noticed is that if there is a budding volcano or cryptodome where the “elbow” sits, I would have to imagine there is a good chance it sits on the Askja Fissure swarm. Some days I am positively exuberant that I can mention cryptodomes in peace. There was a couple of deep under Askja, but not nearly as many as this time around, especially those deep up to the NW of the caldera. Those are new. No, it is on Grimsvötn fissure swarm, Askjas fissure swarm is west of Veidivötn fissure swarm. In order west to east, Vonarskard, Askja, Veidivötn, Grimsvötn (the northern part lacks a name), Upptyppingar/Kverkfjöll. I wonder if the warm path up (as a result of recent magma for holuhraun) might hide the soft pillows of magma hitting the bottom of the table somewhat – and maybe a bit more has moved up? I guess that needs GPS ? The amount of deep earthquakes prior to Holuhraun was not that large. I would say we are seeing the same amount now as we did back then, so I would guess the “pillow” is hitting about as much now as it did then. We may not know too much about the past caldera eruptions. Only those that left tephra beyond the icecap are likely to be known, so small central eruptions could be more frequent than assumed. All the large eruptions seem to have occured along the rifts and caldera ones are much smaller: this suggests that the rifts are the weak spots, and the mountain exerts a pressure on the magma chamber which is close to that required to break open the connections to the rifts. To get a larger caldera eruption would require a magma chamber much closer to the surface. Perhaps a plug stops that from happening. The upper layers in the caldera have low density and may be infill: a blockage would be below that level. Funny that Bardarbunga was unknown 50 years ago. There are still unknowns. We know that there was a large explosive eruption (VEI-5) under the Southwestern quadrant of Vatnajökull that comes from an unknown volcano. The best guess is that it was from Háagöngur (not Hágöngur on Vonarskard fissure swarm) SW of Geirvörtur. Even with todays equipment we can’t say for sure if an eruption has really occurred if it is so small that it does not break the ice. It could just as well be a large hydrothermal event as far as the instruments can tell. Another thing to keep in the back of everyone’s mind’s is that the region around Oraefajokull has seen a bit of a subtle uptick in quake activity over the last year or so. If my memory serves me correctly, it was a very quiet area prior to the Holuhraun eruption, and has been steadily showing more activity since the end of Holuhraun. Not saying I think there will be an eruption there, they’re all pretty low magnitude and somewhat shallow, but it’s just another example of changes that have occurred since the onset of the last Holuhraun event. What I find really intriguing is that the earthquakes that have good locationing are all shallow. Personally I think it has more to do with the effect of the local drastic diminishing of the icelayer. 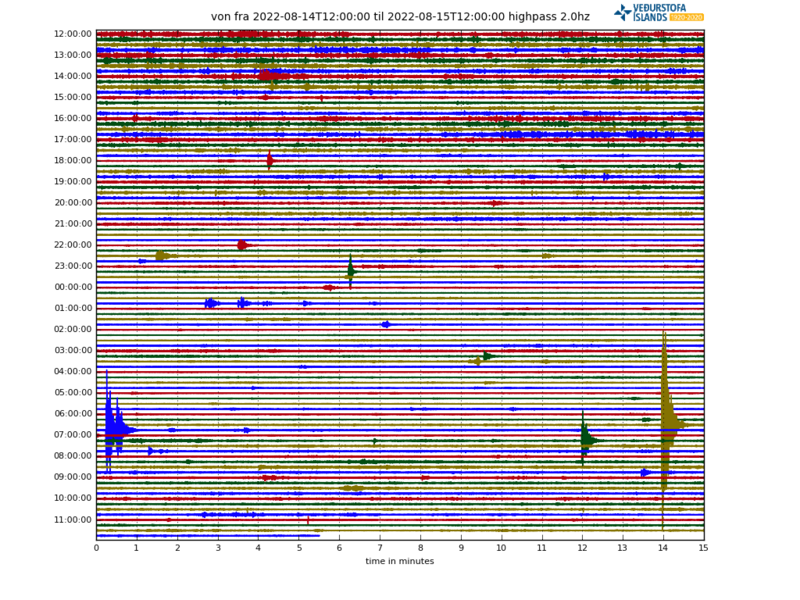 seismicity seems to be picking up at Ruapehu just in the last few hours. There’s a lot of wind in that I’m pretty sure – it’s not seen at all on the other drum and we’ve just had a major storm blast through NZ; winds of 140kph in Wellington last night. But there IS seismicity too. Thanks Mike. I just started watching her with the recent reports so I truly don’t know the drum plot habits so to speak. I agree that it’s mainly (but not entirely) wind showing there. The two drums are “Far West” at the top of Whakapapa skifield, the other drum – Wahianoa – is on the lower SE slopes, more sheltered from the present W/NW gales. The Far West drum is also closer to the crater lake, and scaled at 400 vs 900 for the other drum. 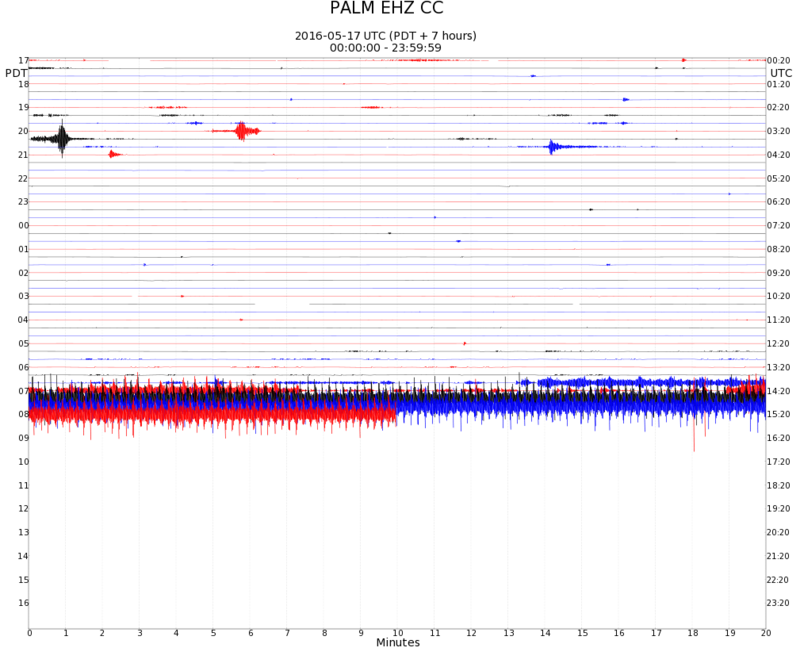 I guess that at the moment, there’s some burping and gurgling going on at and under the crater lake – but if there was something more serious going on (magma movement) then it would show clearly on the Wahianoa drum. The image link Bill posted above is a live link – not screen shot, so will change each time you visit / refresh the page. Wind dies down a bit on Sunday, then gets roaring again on Monday, according to the mountain forecast. Oops – Far West siesmometer is at the top of Turoa – not Whakapapa. Don’t get excited too quickly when you see unusual activity from that drum when the skifield is open – the lifts cause quite a lot of noise – clearly visible on the charts. I did the obvious and asked GNS; they confirm that most of what we see on Far West is wind. Thanks, Carl. Very interesting and informative; lots to chew on there. Thanks for interesting update of the Bardabunga scenario! During 2013 and 14, the year running up to the last reuption, I recall a stream of minor but deep, from 20+ km quakes under or close to Herdubreid. Watching them now for several years, this stream seem to move slowly to more shallow. What could it be? Magma on the move? If you see earthquakes going upwards from a spot that has had a deep earthquake and the signature is magmatic then it is an intrusion. Otherwise it is probably just tectonic earthquakes. At http://www.treehugger.com/natural-sciences/mysterious-4-mile-long-river-peru-so-hot-it-actually-boils.html I read something about a mysterious boiling river far away from any volcano. Now confirmed, the legendary boiling river deep in the Amazon was long considered an impossibility due to its distance from any volcanoes. The only answer i can think of is that the river goes through a really really deep cave. Or there is a Yellowstone like system there. Yet those are so flawed that i immediately start second guessing them. But this is just blue-sky speculation from a complete amateur. After all, there is a hot spring in the UK which reaches 33C without benefit of any of these mechanisms.. There are quite a few volcanic features in the area, so I would say it is a geothermal field that has outlet springs in the river. Question is more if this is an outlayer of the Cordilleras or if it is a hotspot residing there. This was posted a few months back if I remember correctly. I believe either you or Albert pointed out a smallish caldera in the area – clearly volcanic in nature. Not remotely close to a Yellowstone type system in size, but definitely a bit of an isolated volcanic feature. Its just the example that popped up in my head as both have hot waters without any visible cone anywhere. There is actually a small caldera just a few kilometers away, so having a geothermal area next to it is not a far fetched idea. Does that small caldera also have a name? Could this volcanic feature be caused by rifting in the foreland basin adjacent to the Andean mountain belt, or by rising magma from the subducting Nazca Plate? Well found – much easier to read. Thank you. The deeper quakes SE of Bardy continue today. Bardy/Grimsvotn/Askja fissure swarms activity this week so far. Indeed very interesting report! Would be interesting to learn how mantle plumes and hot spots could be accommodated within their model of chaotic mantle movements. Could not get at the original paper. Also, could such a chaotic system be sensitive to external cues such as long term variation in moon/sun tidal effects? Off topic is Florida dress rules. This would be a lot more on-topic if the article writer offered more than a few buzz words. What does “seismic surveys of the world’s oceans” mean? It makes me wonder if there is any there there. And I get that off-topic is fine so long as we’re nice. I kind of wrote that paper off since it did not contain anything that I found to be possible to verify at this juncture. And in regards of off-topic. Nothing that is even remotely connected to volcanoes, volcanism and geology in general is off-topic in here. And we have a very relaxed attitude against diverse ruminations on other topics to. We tend though to stay clear off politics, religion and conspiracy theories (unless we debunk them). As noted, we have only one rule in here really and that is Be Nice. Well, we do seem to be a nice bunch. The article was off topic to Bardy being discussed, that’s all. I am probably the odd one out here. Much of my opinion is diametrically opposite to the residents of VC and the back-channel. I keep most of it to myself and don’t run around bashing people with it. Why? It’s not my soap-box and that would be rude. The paper is a difficult one. The data comes from seismic reflection data, taken during oceanic surveys, from which they measure the thickness of the crust. This should be large near plumes, and small where oceanic crust is old and has cooled. their data shows this effect, but also shows faster fluctuations. They talk about radial flows in the upper mantle, flowing away from regions such as the Icelandic plume, and perhaps they mean that these flows can get a wave-like pattern. They also talk about shallow convection in the upper mantle which have a small size scale (~1000 km). The link above calls this ‘chaotic’ but that seems an interpretation as I could not see that word used in the paper. Whether off topic: this actually seems quite on-topic to me. But off-topic is fine as long as discussions stay civil and aim to increase understanding. Noone is always right, and often things are discussed here which do not have a clear right/wrong outcome (for instance a discussion here a while ago on federal land ownership in the US which I found fascinating if only barely relevant to volcanoes). I do tend to lose patience when overwhelming evidence is dismissed for reasons of personal convenience, for which my apologies. I found the part about the Cameroon line to be interesting, it matches well with other known data. Wonder how such a large and stable convection was created. Mag 3.0 in Hengill today. Nice tectonic earthquake. It has been a bit quiet lately there. Problem with the Woolly Mammoth Guide was that it took ages to write. I am interested in the peculiar very low frequency signal increase tonight. It doesn’t look like your typical wind noise, since that one is most notable in mid to high frequency, while they dont seem to budge this time. And yes, DYN does look to have a small increase over time, like its typical for mid-low frequencies to look like in wind noise, but such pulsing of low frequencies only, would not occur due to wind noise, without the mid and especially high frequencies pulsing aswell. And this signal is appearing on almost all SIL stations at the same time throught the S/E Iceland, but its more defined around the SE Iceland region and in Vatnajokull/Askja and the surrounding regions, especially in SE Vatnajokull. Could still be wind, but this would be the first time in histroy that the wind would create only a low freq pulse, gradually reducing with time (a signature more frequently seen in HT pulses), without any pulsing effect on high or mid freqs. A comparison of the KSK station (SE Vatnajokull), where the low frequencies look like a dereasing HT signal, if you ignore the mid and high freqs. And VOG station (Reykjanes ridge), with a well known typical wind noise signal on all frequencies. And a 10m wind analysis/forecast from ECMWF for the time of the “low freq pulse”. Not enough wind there to cause it even on high or mid frequencies, and to have such special local winds at the same time at multiple locations to cause only a low frequency increase, diminishing with time even at this moment, is quite unheard of. Could be, but the pulse occurred at max intensity overnight, not now, and is still slowly in diminishing mode. And by looks its feeling like a slowly diminishing HT signal (tho i am not saying that it is). So to cause this pulse on such a mag and at the mentioned stations, a big wave would have to slam into Iceland, and would have to still be doing it with a lowering intensity. Looking at GRF for example, the signal is still there and slowly reducing. Looking at wave height and direction, nothing nearly as strong happened or could happen overnight offshore SE Iceland to cause low frequency tremor over almost half the island. The first thing that comes to my mind, when thinking about a force that causes a “HT feel” signal on one band only or mostly (very low freqs with some mids also affected), and on such a scale over such a region, is either magma, or some force that I an not yet aware of in Iceland. Given that its over SE iceland and in/at/around Vatnajokull, the most extreme thing that comes to my mind, is a possible plume pulse activity or something like that. Would love to hear some other theories. Its all good, i understand you. But I am not interested what the conditions are now when the signal is diminishing, but what the situation was when the signal first appeared, around 3UTC. There were no such strong winds, and/or wave heights, and no rain. The Vatnajokull glacier was even under a local high pressure area due to ice, with a a convergence zone SE off the coast. just sayin. The signal peaked at other stations with a big delay, while i dont thing the waves slamming would cause a signal that far inshore with such delay. in the evening the wind and waves are even going to pick up intensity. On the top left is SKR which you can still see there is an increase on the drum but not as much as FAG, you can see the trend from the shore to inland which shows on the tremors as well, this is weather, (waves, rain, wind) related, no doubt. where is the signal going up and down? I see an almost linear downward trend, while the overall the waves are increasing with the same directions. but if the signal is inconsistent over several stations on a wider area then I cant see how it can come from that specific simple source which should not cause such signals,when stronger activity from the same source has not created such signals around Bardy or Askja for example. to be exact, I fully support your theory in general. I know what waves can do, have seen it before. What bothers me in this case, is the energies involved. The intensities of waves and later winds at the time of onset, are not nearly enough by my estimate, especially when comperd to past events and what mark have they left. I am halfway convinced that it has to do with a minor hlaup. 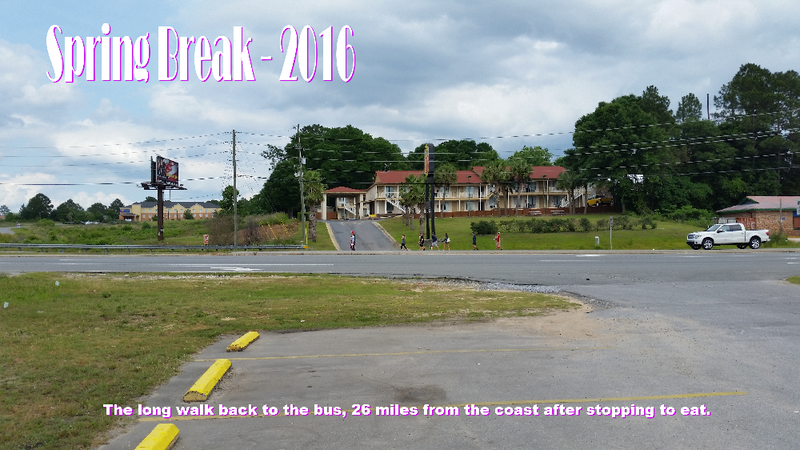 It is definitely not wind or rain, might be waves, but there are other signs of a minor hlaup going on now. I don’t know enough to say what it is. Not sea waves though: they have frequencies several times less than 0.5Hz and would not show up on these graphs. Rain would be an interesting one but I would expect a bit higher frequency (a few Hz?). Flowing water would fit the bill to me. Could also fit in with the time of the year. I’ve just had a look at the river data and, amateur that I am, I don’t think there is anything out of the ordinary showing for the relevant rivers. But I must stress that I have no training in how to read the graphs. And in any case, maybe the kind of minor hlaup you have in mind wouldn’t show on the graphs…. Anyone uses FutureVolc to get miniseed data from seismic stations on Iceland? Apparently Its possible to download data from seismic stations, but i get the information “Data is locked”, although i´m registered. Sent email to FutureVolc but still no response. GPS data is available to download, but mseed is locked, cant understand why..
All of futurevolc is not publically available yet due to technical reasons. Thanks for the answer Carl..i will keep looking once a while to check when data is available. Beardy Gaz of this parish posted the link a few months back but the site been showing less recently than it used to – I assume this is explained by Carl’s post. But even in this version it’s still very useful and informative. Don’t think it will amount to much, it was under the old vent , it would be a bit different. Worth keeping an eye on..
Well bugger that! Arupotv have just geoblocked their Youtube Aso live stream! Again I’m looking for an alternative feed for that live stream. Could people please try the link about and tell me what their results are? And what country they’re in obviously! Thanks! It works now from the Netherlands, but a few days ago I had the same problem you encountered. Maybe it could work by going to their site where they have the youtube feed embedded? That seems to be working fine for me. I am in NZ (same as you I think Mike?) and it is blocked for me too. I’m in USA and it’s blocked to me too, Mike. Works from Sweden, seems like the japanese have something against NZers. “This video contains content from arupotv. It is not available in your country. in the USA. wonder why. Small swarm going on at Mt. Hood, not entirely VT quakes, but probably nothing to get too excited over. The swarm is actually situated slightly south of the main edifice – the station I linked to may actually be closer to the epicenter of the swarm, although both will naturally be picking up noise from Hood. Slightly odd to be HT, a bit spiky in my opinion. 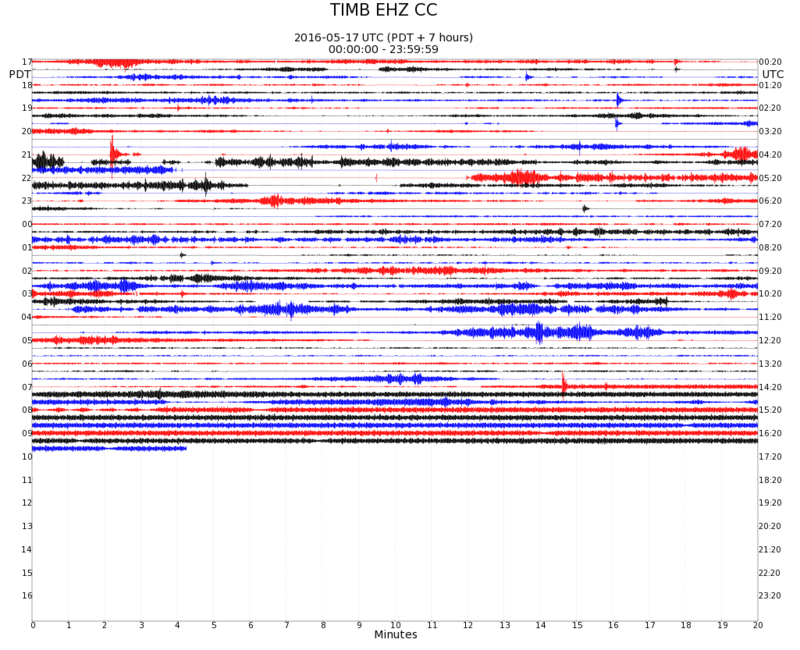 I’m not a seismologist, but I have looked at a LOT of scope traces in my day. That one has the appearance of a faulty circuit. Construction? New ski lift? Drilling? Both the PALM and the TIMB show a continuous waveform. somethings not right there-I concur that it isn’t quite natural..
And it seems that Etna may, or may not, be on the road for a bit of a festivity.